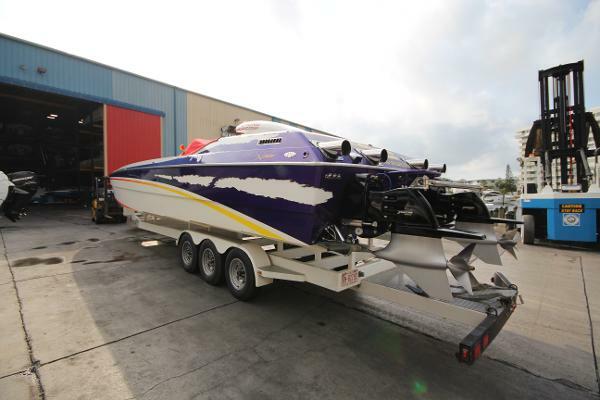 2000 Skater 36 Classic powered by 1100 EFI motors and Mercury Racing #6 Drives. Motors have less than 10 hours from refresh. Drives have around 50 hours. Interior redone by Fineline about 4 years ago. 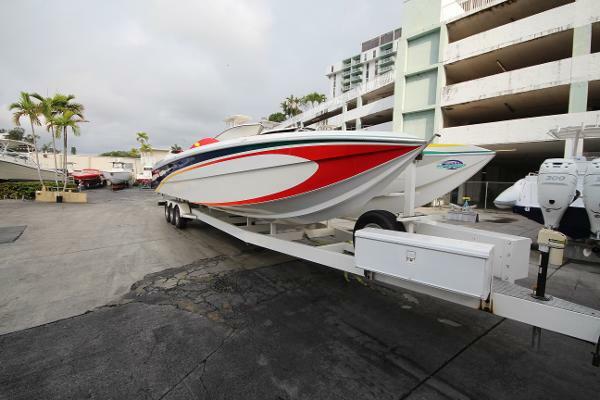 Trailer is included.Garmin TouchScreen GPS display. JL Audio Master Stereo with JL Audio speakers throughout, VHF Radio, Auto Fire Extinguisher in engine compartment. Trim Colored LED Lighting throughout including LED Underwater Lights. Kept inside climate controled warehouse in NC.